With all apologies to folks in other parts of the country, the weather in Southern California has been amazing lately. Today presented an opportunity to get a half-day off of work and I knew I’d be able to get some good golf in. As I searched for online tee times this morning, there were many tempting options, but the one that ultimately caught my eye was on EZLinks.com. 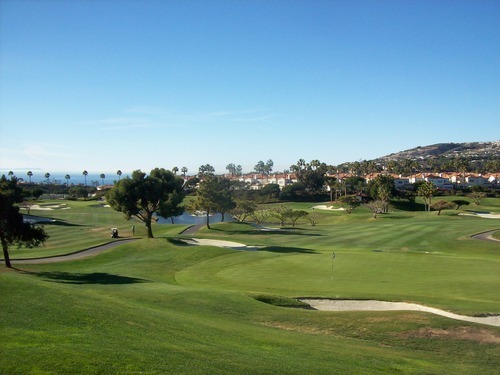 $68 for a 12:40 tee time at Monarch Beach Golf Links in Dana Point. 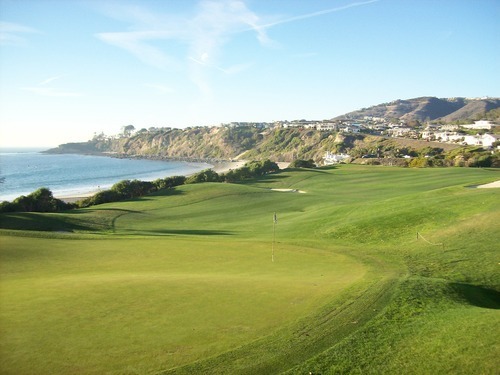 It was a tad more than I was hoping to spend for a Friday afternoon round, but the fact that it wasn’t too much of a drive and the weather was so beautiful and ideal for an oceanfront round, it wasn’t a difficult decision. 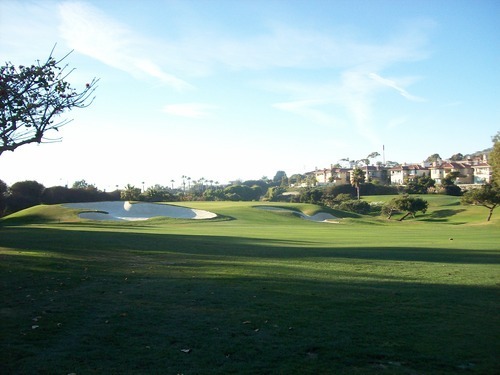 Relatively speaking, it was a great price for Monarch Beach, so it really was a no-brainer. I first played here 7-8 years ago and usually it’s the high prices that have kept me from coming back. Otherwise, I really liked it on that visit and was looking for any good excuse to come back. 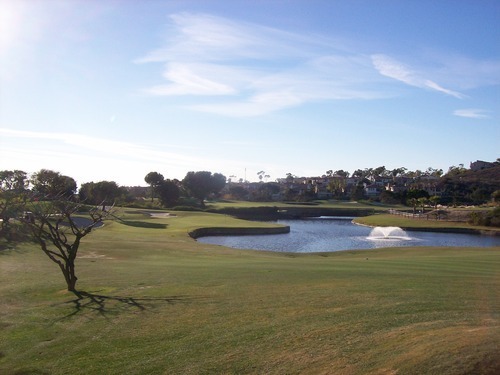 I was able to use a 10% promo code that saved me a few extra bucks, as well, so for under $65 you won’t find a much better deal in the overpriced Orange County. I checked in with the starter around noon and it wasn’t too busy out there. In fact, the first tee was wide open, so I asked about getting out a little earlier than my tee time. 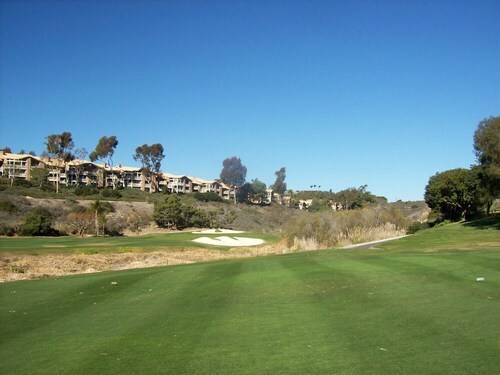 The staff here is excellent on all levels and they really know how to treat people right, from the complimentary valet parking out front to all the people around the clubhouse. The starter was very accommodating and let me know another single just went off a few moments ago and was already playing through a foursome on the 2nd tee. They ended up having me join him on the 3rd tee and we played as a twosome from there. We ran into the groups ahead after a few holes and it slowed down a bit, but the overall pace was great. When I came back around to play holes 1 and 2 by myself, things were wide open on the front. They actually encouraged me to go ahead and replay holes 3 and 4 again if I wanted. Why holes 3 and 4? 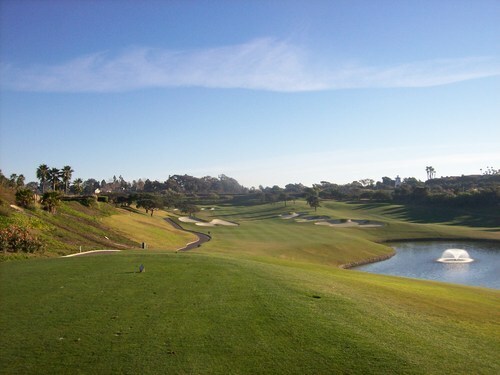 Because these are the signature holes at Monarch Beach Golf Links. The 3rd is a real beauty. 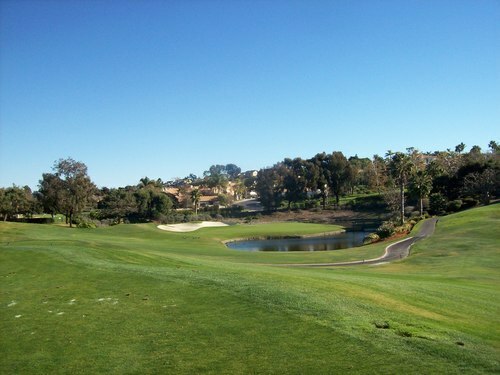 It’s one of the best-looking holes in all of Southern California if you ask me. 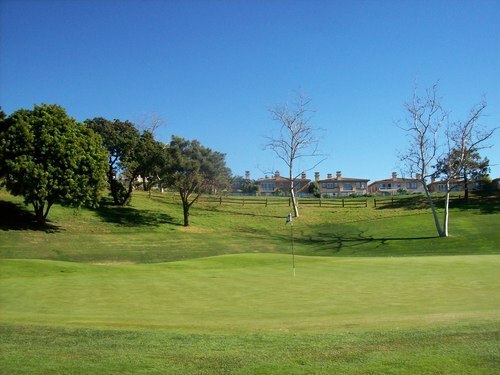 It’s a relatively short par-4 with a severe dogleg left. 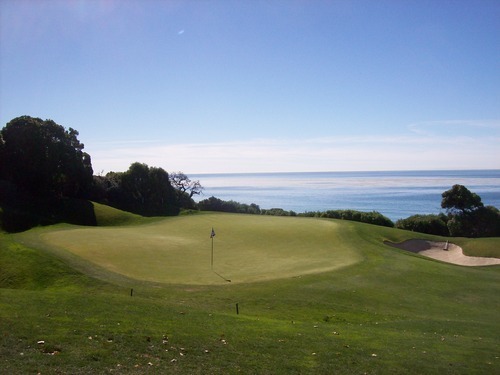 The tee shot provides a nice ocean view as you hit straight out toward the water, but once you turn that corner you get the real visual treat as you play right above a small beach. From the green looking back, it’s a fantastic view. 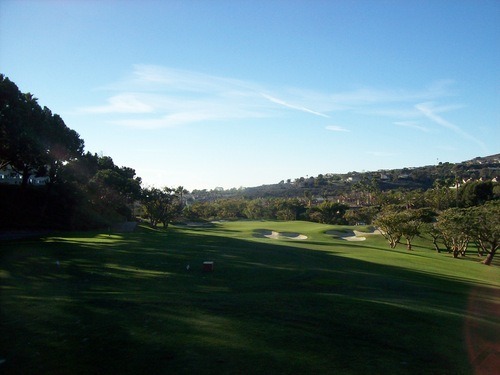 The 4th is a cool par-3 heading back away from the water, so it’s a fun one, as well. These two holes are slightly set away from the rest of the course, so it’s a special little spot. I’ll admit it was a little weird starting on the signature holes without much build-up, but I knew I was going to likely replay them at the very end, so it worked out very well. 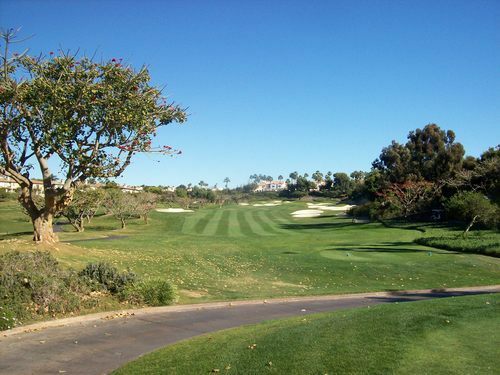 Even with the two “bonus” holes I played, the total round was just under four hours, so you can’t beat that on such a nice day when you think it might be extra crowded because of the ideal temperatures and clear beachfront skies. 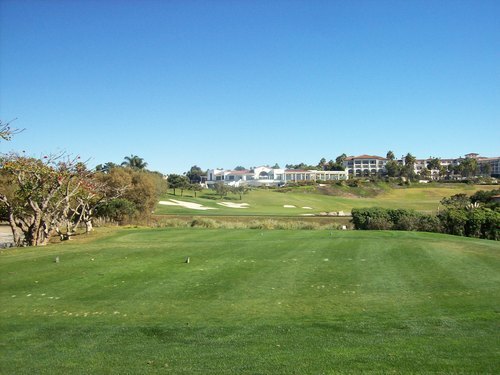 Those are the holes you definitely remember after playing Monarch, but the rest of the course is very good. The scenery is nice as you wind your way through some high-end neighborhoods and coastal hills, and you get a handful of great ocean views in the distance. It was really clear today. Catalina Island looked so close. 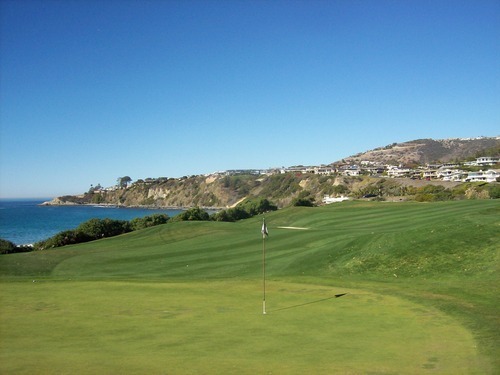 Monarch Beach was designed by Robert Trent Jones, Jr. and it definitely has many of his hallmarks. Probably most prominent is the elaborate (and plentiful) bunkering. There are a lot of big bunkers here with big lips, dramatic shapes and intimidating angles. Find one and you will be left with a tough recovery shot. 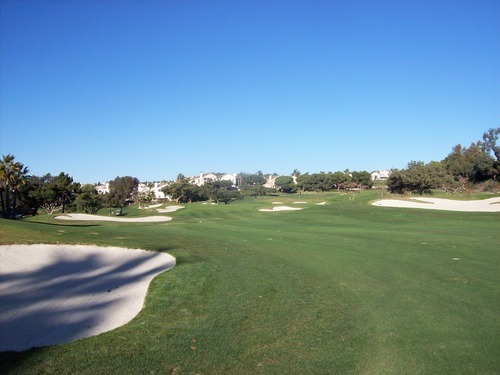 The greens here are very difficult with tricky undulation and severe slopes. The surfaces themselves are challenging enough, but they are also very well protected. There’s really not much room for error on approach shots. 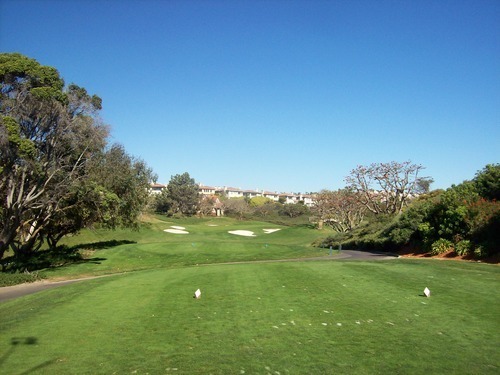 This is definitely a course that favors those who have a high ball flight or can generate a lot of spin with irons. 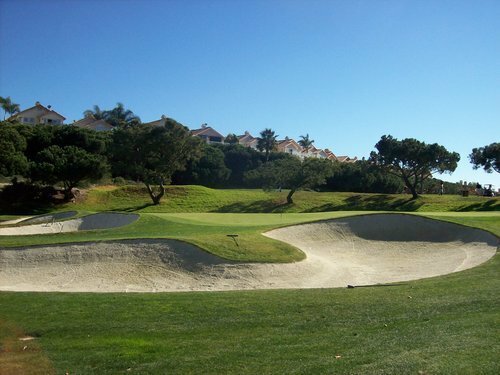 Most greens cannot be missed short at all because of the big bunkers and false fronts. Also, long is no picnic either because you will be left with a very difficult chip as the green runs away from you quickly. 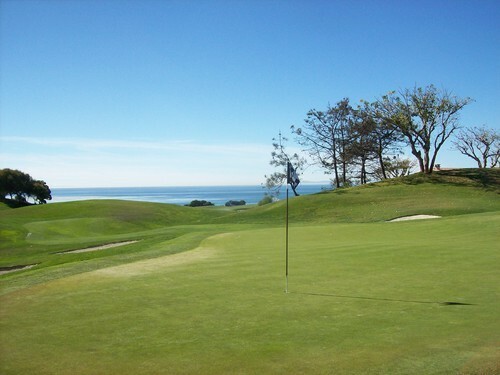 And even when you hit a green, a two-putt is never a “shore” thing. 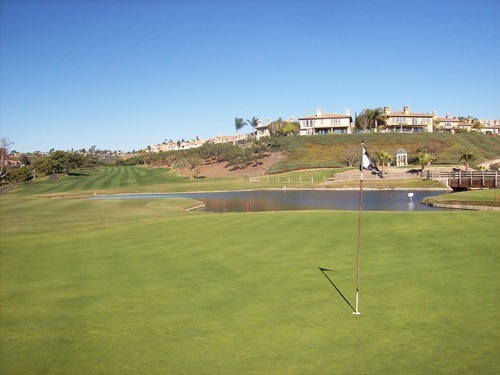 There are a few nice-looking water hazards on the course and some rock walls on the edges of most of the water holes. 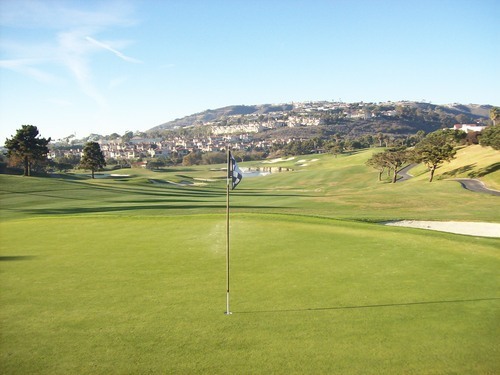 Overall, it’s a great-looking course in a beautiful setting, so it’s easy to understand why their normal rates are so high. When you factor in good conditioning and exceptional resort-level customer service tied in with the St. Regis, it’s definitely a step up from what most of us are used to. For what I paid, it was a steal of a deal on such a gorgeous afternoon, but the high prices will keep me from making it a regular stop. With a reasonable deal, it’s definitely worth the occasional visit. 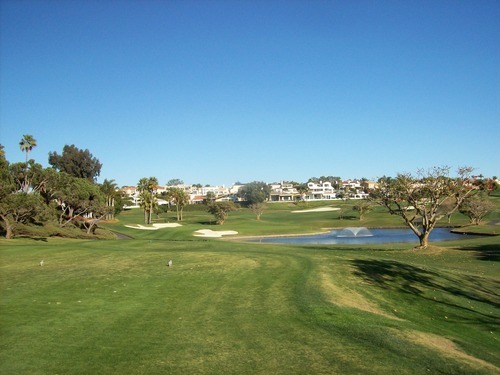 Speaking of conditions, the course was in very good condition for winter. It was mostly lush and green everywhere. There were plenty of thin spots scattered throughout and a few GUR areas roped off, but the course looked and played very well for this time of year. 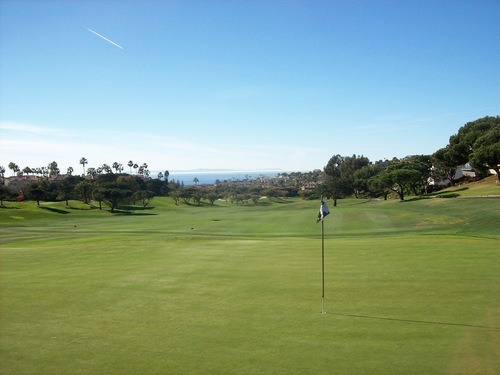 The greens were very soft and receptive, which is necessary because of how difficult and well protected they are. They were rolling pretty smooth at medium speeds. I did notice a few bad areas on a handful of greens, but they were mostly pretty nice. There were an unfortunate number of ball marks on these soft surfaces, so it’s sad some careless resort guests don’t do their part to help maintain such a beautiful course. 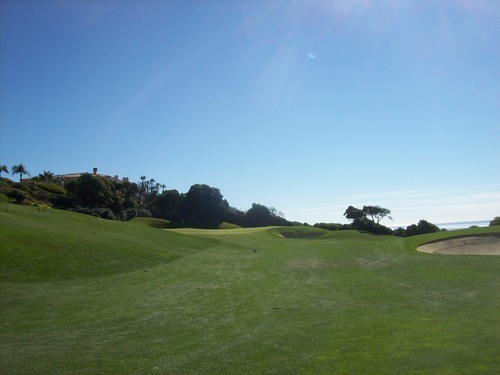 Last but not least, the tee boxes were excellent and the sand traps were immaculate with perfect soft white sand. I had the chance to test out a large number of them today, so I got my money’s worth in the bunkers! 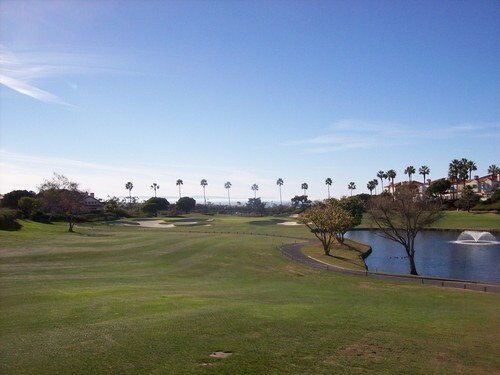 What a great day at Monarch Beach. I look forward to my next “excuse” to return.